Technical analyst Rahul Mohinder has maintained 'sell' rating on Larsen & Toubro Ltd stock with a target of Rs 1990. According to analyst, the investors can sell the stock with a stop loss of Rs 2035. Mr. Mohinder said that the investors can sell the stock as there are full chances of decline in the coming days. Today, the stock of the company opened at Rs 2020 on the Bombay Stock Exchange (BSE). Current EPS & P/E ratio stood at 56.10 and 35.85 respectively. 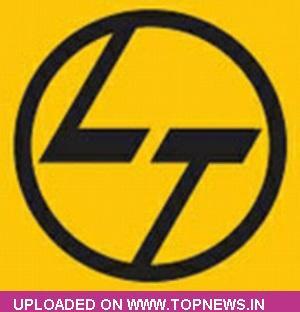 Engineering and construction giant Larsen & Toubro Limited (L&T) bagged two big money projects valued at Rs 415 crores. The two biggest aluminium firms Hindalco and Sepco-I had forwarded their deals to L&T Groups. Hindalco Industries Limited has given contract to L&T Groups worth Rs 253 crores to accomplish structural steel works for the 6x150 MW captive power facility in the state of Orrisa. Valued at Rs 162 crores, the second order from Sepco-I was for rising of boilers for their 2x660 MW Talwandi Sabo Power facility. Moreover, the company pocketed a Rs 716 crore deal from the Transport section of Abu Dhabi in the United Arab Emirates (UAE). The order is said to be completed in a period of 24 months.